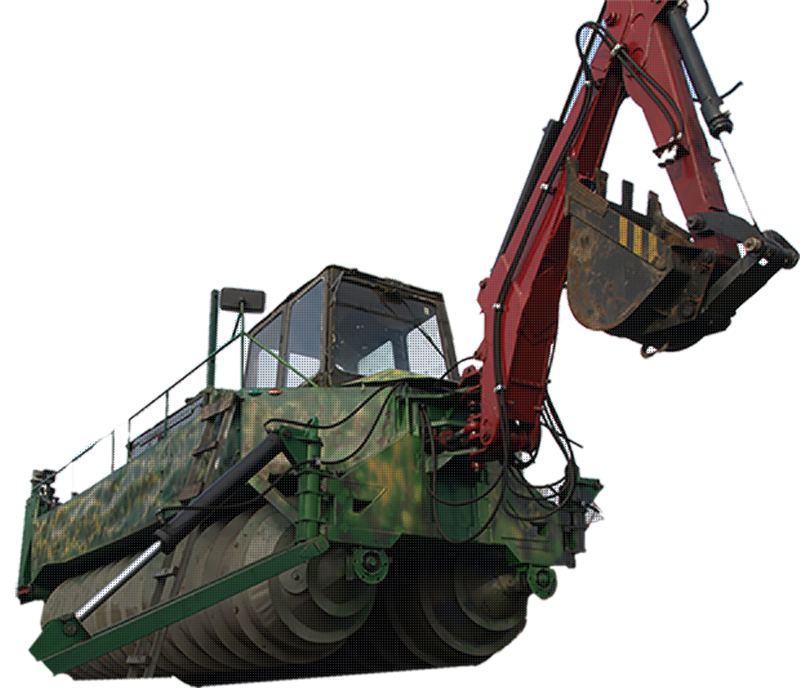 We will do the job quickly and efficiently where large dredgers are expensive or inapplicable. Removable equipment, all-terrain dredgers and professional operators at your service! 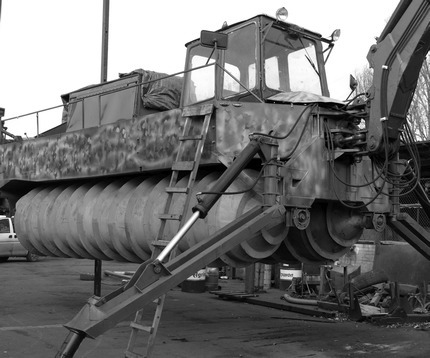 Our compact all-terrain dredger will get in and get out of any puddle on its own and will clean any swamp up to 4m deep! Will turn any swamp into a pond where ordinary dredgers are powerless! ..our screw-propelled dredger will do the job. It has outstanding passability in marshland; it can move sideways, turn in place, move on any non-cohesive surface, water and snow. Removable equipment: bucket, rake, dredge. The worlds first small Screw-propelled Dredger engineered and manufactured in Ukraine. Services Dredging, piling, raking upto 4 meters depth, in Ukraine. 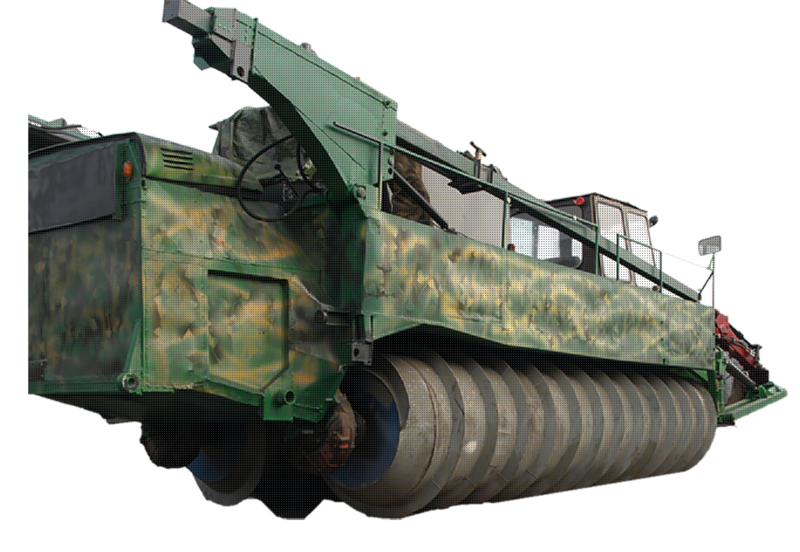 Manufacturing Accepting order for Screw-propelled Dredgers, not more the 1 piece per year. Our small engineering and manufacturing looking forward for cooperation. Latest version of our Dredger improved with water cannons, updated hydraulic system to make navigation on water and work performance faster. 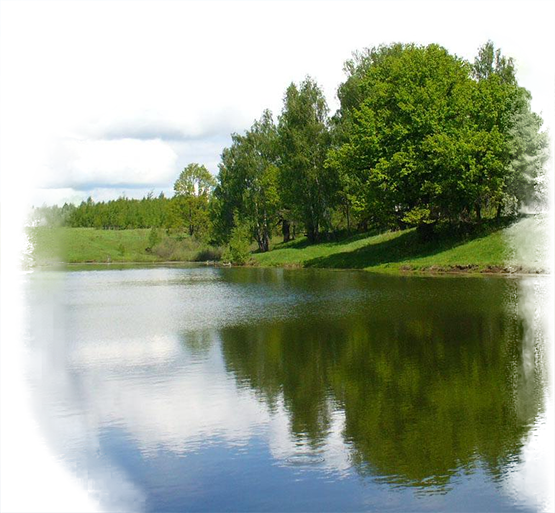 We're the only company in Ukraine using such machinery in environmental restoration of complex water objects. We turn areas overgrown with reeds into beautiful beaches, and dirty swamps with frogs – into lakes with a deep clean bottom and habitat for birds, as well as a place to rest for people. If you have any questions - don't hesitate to ask!